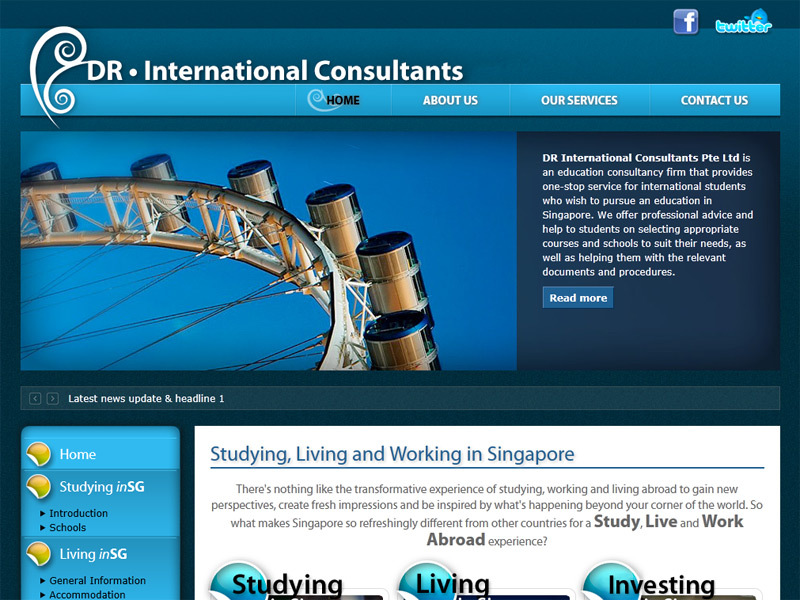 DR International Consultants is an education consultancy firm that provides a useful one-stop service for foreign students wishing to pursue an education in Singapore. 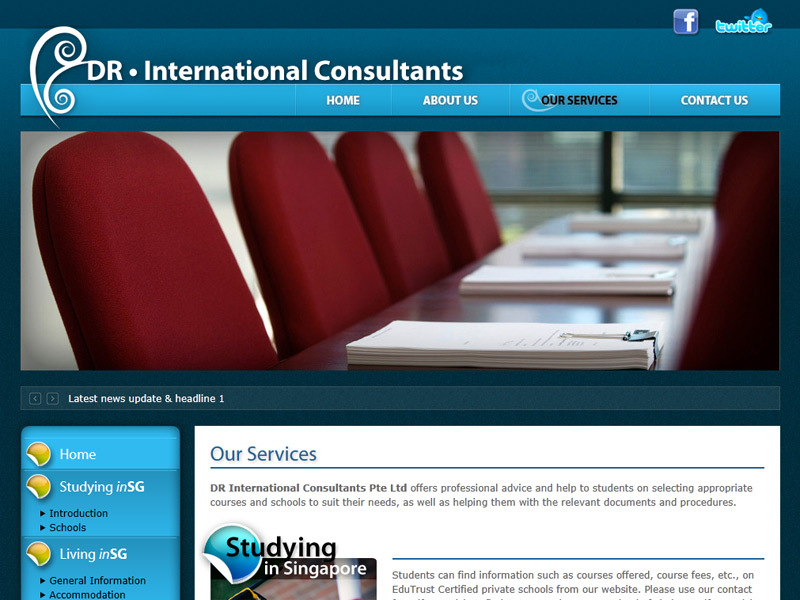 The company offers professional advice and helps students select courses and schools suiting their needs, as well as assist them in securing the relevant papers and clearance by authorities. Blue, a colour implying friendliness and hospitality, tells potential students that Singapore is the right choice and a city they will be comfortable in. 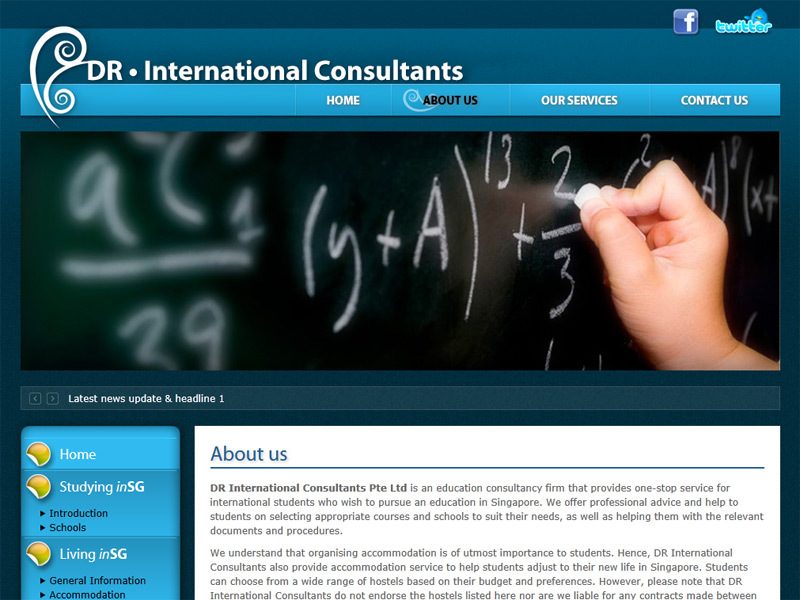 Images that convey happy, successful students say that DR International Consultants is the right company to help bring them here for an education that might just change their lives.